Bringing the Highways of History to YOU! Click Here to view or print out this page as a .pdf file. 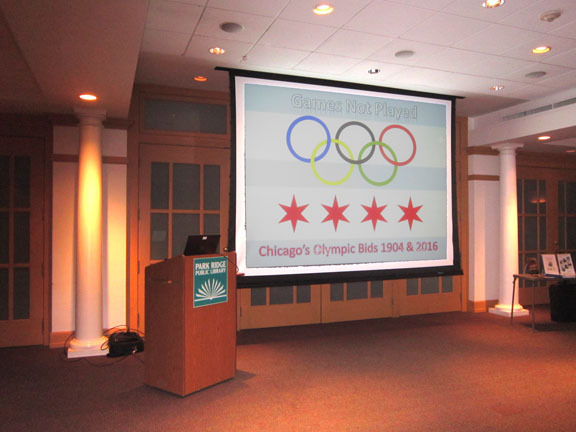 Contact Us for more information on Windy City Road Warrior Presentations! The Historic Route 66 presentation begins with a video montage of contemporary Route 66 scenes. Next, a short discussion of the history of road building in the United States notes that many of our current highways (including Route 66) follow trails first blazed by Native American footpaths, 19th century canals, and railroad trunk lines. We explore why Route 66 "winds from Chicago to L.A.," and we look at the historic biography of the local thoroughfares that carried the highway's traffic in the Chicago area. Next, a video slide show of images depicts the damage done to Route 66 cities and towns by the passing of time and the migration of through traffic onto the Interstates. From the west side of Chicago, through neglected areas of otherwise thriving communities and through ghost towns like Glen Rio and Goffs, the photos show desolation caused by the bypass of previously-thriving corridors of travel. However, these images do not spell the "End of Route 66." The final section of the presentation is a "virtual tour" of Route 66 today. 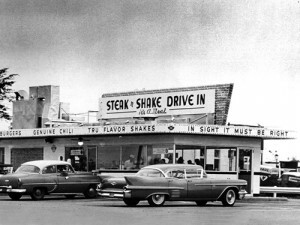 Through Illinois, Missouri, Kansas, Oklahoma, Texas, New Mexico, Arizona, and California, the images show the vibrant life still lived along the highway corridor, despite the fact of Route 66's "official" de-commissioning in the 1980s. Amidst the decay caused by the interstates, thrifty and industrious business owners and highway enthusiasts continue to breath life and longevity into America's Main Street, the Mother Road, Route 66. Many travelers believe that Route 66 in Illinois has more attractions per mile than any other state. With our high price of gasoline, people are deciding to remain closer to home on their vacations. Route 66 on a Tank of Gas shows the many Mother Road attractions in the Land of Lincoln, within 300 miles of Chicago. The program begins with an overview of road building in Illinois, from our dependence upon the railroad to our early efforts to create �good roads� with county-wide programs and privately-marked Auto Trails. 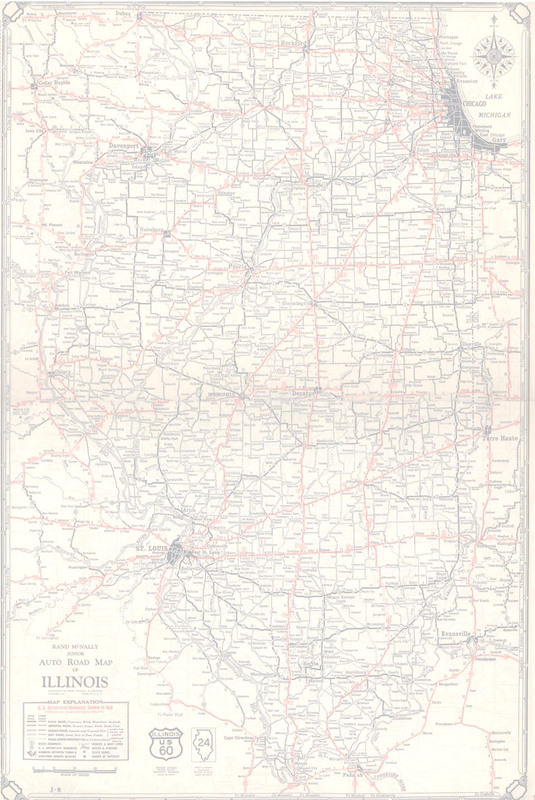 In 1918, the State legislature passed �An Act to Build Hard Surfaces upon the Public Highways in the State,� which gives the Illinois Division of Highways jurisdiction to improve and maintain a network of primary trunk roads. Financed by $160 million in road bonds backed by automobile license fees, the state builds roads at a record-breaking pace, pulling Illinois �out of the mud� on modern ribbons of concrete. In the second half of the presentation, we take a virtual tour of Route 66 in Illinois from Chicago to the Mississippi River near St. Louis. Along the way, we stop at the restaurants, museums, and historic sites that give Illinois Route 66 its special personality and character. We stop at such iconic Route 66 treasures the Del Rhea Chicken Basket, Funk�s Grove Maple Sirup, the Cozy Dog Drive-In, and Henry�s Rabbit Ranch. As the song Get Your Kicks On Route 66 says, the highway winds from Chicago to L.A. It is thus no wonder that the world�s most famous road has wound its way into many Hollywood productions. In the 1934 film The St. Louis Kid, James Cagney plays a truck driver on a regular run to Chicago. Years later, films that would use a journey along the highway�s path as part of the story include National Lampoon�s Vacation and Planes, Trains, and Automobiles. Featuring clips from films and television shows, we look at many more portrayals of Route 66 from the 1930s through the present. We will see shows that use the road theme in locations along the highway, projects that feature location shoots along the road, and movies that use Route 66 in their narrative. 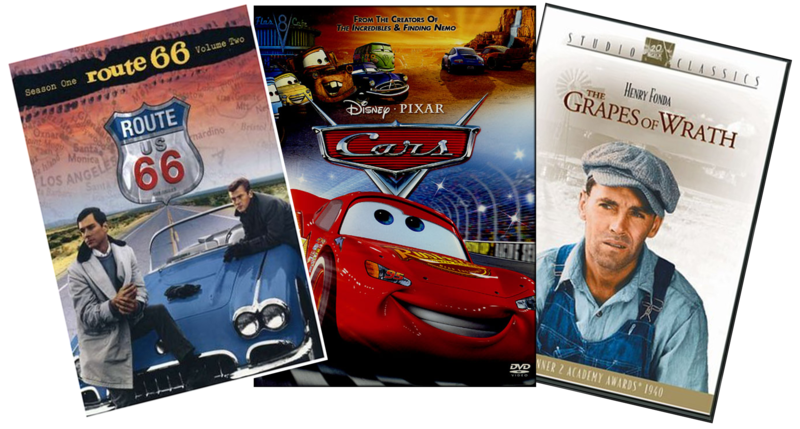 Movies and shows that will be featured include Cars, The Grapes of Wrath, and the Route 66 TV series. In the end, the viewer may well realize that life is a journey, and Route 66 is the road to Tinsel Town! 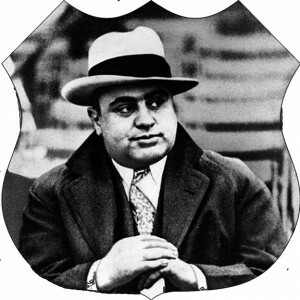 Al Capone came to Chicago in 1921 at age 22, summoned to be Johnny Torrio�s chief lieutenant. Together they reaped millions from prostitution, gambling, and bootlegging. Capone would take over in 1924, overseeing a bloody era of wars with rival gangs. Many businesses on or near Route 66 had ties to Capone, including breweries, race tracks, roadhouses, brothels, and speakeasies. It was on US 66 where Capone bought his Cadillacs and had them armor-plated. And when Eliott Ness drove the convicted Capone from Cook County Jail to the train bound for the Federal prison, they used 66 for that final journey. These and many more stories are covered in Al Capone and the Route 66 Connection. Starting in 1934, Frank Lloyd Wright and an entourage of architecture students headed south from Wisconsin through Illinois, then west using portions of Route 66, on a journey that would become an annual event. The destination was Taliesen West, Wright�s home and architectural school in Scottsdale, AZ. 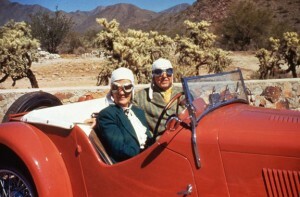 These trips were led by Wright driving one of his various automobiles, most of which were painted Cherokee Red. For the modern-day Route 66 enthusiast, the commerce most associated with the highway is tourism. However, when the US Highway system debuted in 1926, the planners had more in mind than encouraging pleasure travel. Route 66 followed a path blazed by railroads on its run from Chicago to LA. As muddy trails gave way to the numbered hard roads, commerce along the route flourished in a uniquely democratic way. 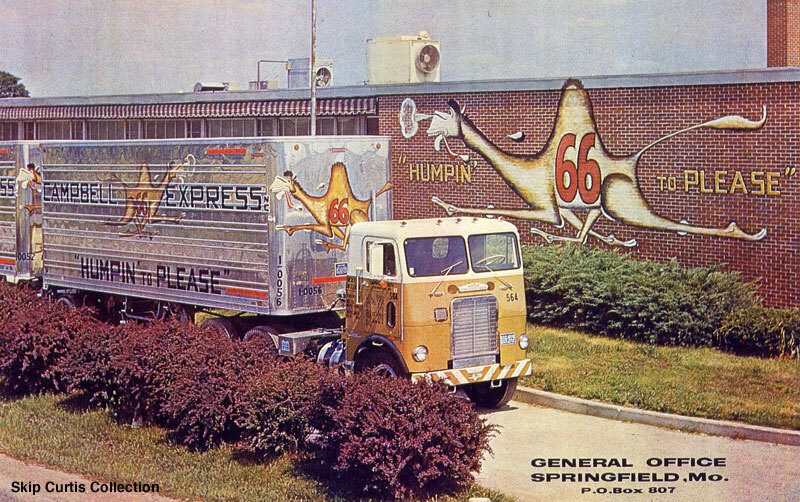 What followed were unique ma-and-pa attractions, the emergence of long-distance trucking, and new populations spreading to suburbs and rural towns. This program looks at how Route 66 transformed the spread of wealth and opportunity from the big cities to the countryside in ways that the railroads could not. This program explores the Ghost Stories and the Ghost Towns found along Route 66. We cover ghostly legends and supernatural phenomena in each of the eight Route 66 states. Included are the ghost of Joliet�s Rialto Square Theater, the mysterious Spook Light of Kansas, and the spirit of the former owner that haunts the Museum Club in Flagstaff, AZ. 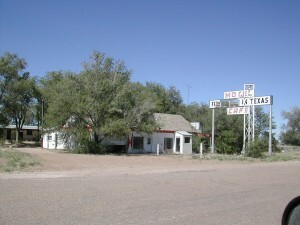 Where 66 once brought countless travelers right down the main street of towns such as Funks Grove, Amboy, and Glenrio, the building of the Interstates left these places to decay as Ghost Towns. 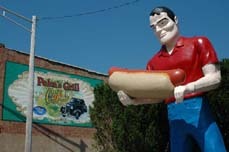 Through Ghost Stories and Ghost Towns, the Ghosts of Route 66 live on. As motion pictures developed as an art form, storefront nickelodeons gave way to opulent movie palaces. The Chicago-based Rapp & Rapp architectural firm, headed by brothers Cornelius and George, designed over 400 of the nation�s most elegant showplaces, including the Chicago Theater and the Rialto Square in Joliet. 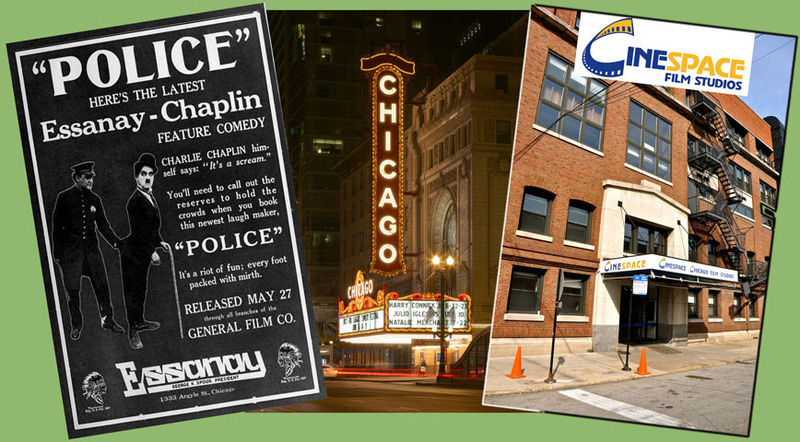 For several decades, Chicago was sporadically a featured location in popular movies, but with the success of The Blues Brothers, the number of film shot on location here increased significantly. Today, Cinespace Studios on the city�s west side is the largest film studio outside of Hollywood. In this program, we will look at the whole history of the film industry in Chicago, from the days of Charlie Chaplin through such modern classics as The Dark Knight. It is well known that the Prohibition Era in Chicago saw the rise and fall of Al Capone. At the same time, the city was home to progressives Clarence Darrow and Jane Addams; crooked politicians �Big Bill� Thompson and �Hinky-Dink� Kenna; and reform Mayor William Dever and the muckraking Chicago Crime Commission. 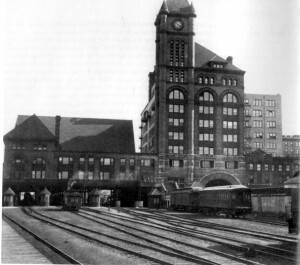 Chicago has always been the nation�s hub for transportation, and the railroads brought African Americans to the city during the prohibition era in the great migration. Among them were �King� Oliver and Louis Armstrong. Amid flappers and temperance leaders, tea rooms and speakeasies, life in Chicago was a microcosm of the United States�a crossroads where everything new came to terms with deep-rooted traditions. 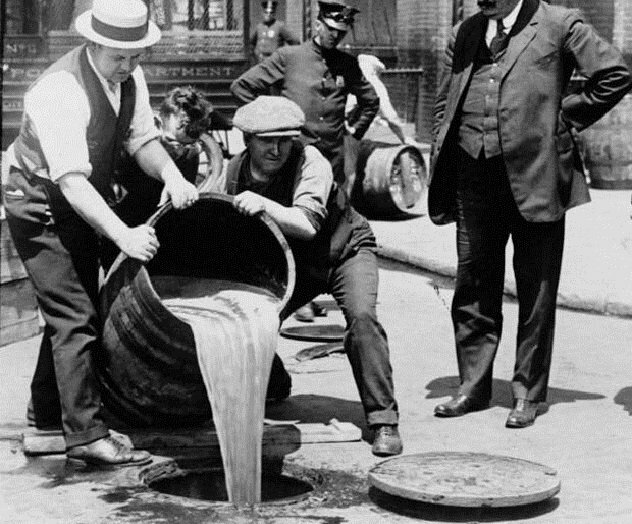 We take a look at all this and more in The Prohibition Era in Chicago. Stations in the Golden Era of Rail From after the Civil War until the rise of commercial jet travel in the early 1960s, anyone wishing to travel long distances across the North American continent likely did so via passenger rail. It is also likely that these folks passed through Chicago�s passenger rail stations on their journeys. 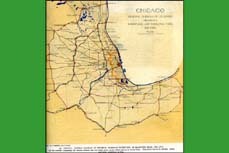 Chicago was the gateway between east and west and home to six large stations serving the needs of a majority of the long-haul rail companies. This program will give us a glimpse of the experiences of the passengers who passed through those terminals�each of which had its own unique look and �personality.� We will see that Chicago was indeed the Gateway City for anyone traveling across the country in the era of travel by rail. 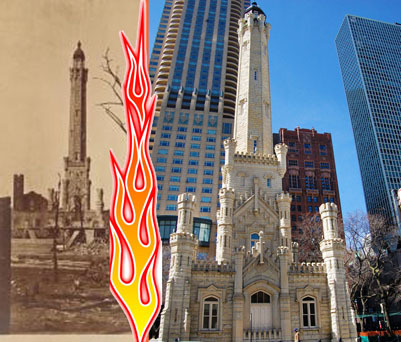 The Chicago World�s Fairs of 1893 and 1933-34 attracted an astounding number of visitors to the city. In each case the attendance numbers were equal to over 40% of the country�s population. This program answers two questions: what did they come to see, and how did they get here? If the fairs were held today, most visitors would arrive by air. In both 1893 and 1933, the journey to Chicago was far more problematic. Most arrived by train, some came by lake steamers, and international visitors took Ocean Liners to the US. In 1933, adventurous motorists could travel on the still-primitive US Highways. The reward for a difficult journey were expositions that showed the promise of a better future. This program highlights the builders who created the architectural vistas seen by millions of visitors to Chicago throughout the city�s history. We concentrate on the structures seen along Jackson Boulevard from its time as a central thoroughfare for railroad era travelers through its designation as Route 66. Chicago by Design: Architectural Vistas for a Visitor�s Eyes explores the architecture of this important travel corridor. Included are views and discussions of W. W. Boyington�s Grand Pacific and Stratford Hotels, William Le Baron Jenney�s Fair Store, the Rookery and Monadnock buildings of Burnham and Root, and the Marquette Building of Holabird and Roche. 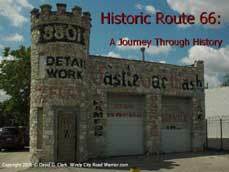 The information and images in this program are based upon an award-winning series of articles that has appeared in the quarterly publication of the National Historic Route 66 Federation since 2007. The 1909 Plan of Chicago influenced the development of Chicagoland as we know it today: the lakefront parks, double-decked Wacker Drive, and the Michigan Avenue Bridge were among the features of the Plan. In our presentation No Little Plans, we look at the Plan�s concepts for road building that included a system of highways throughout the region. They wrote, �While good highways are of great value to the terminal cities, they are of even greater value to the outlying towns, and of greatest value to the farming communities..."
The presentation looks at the highways proposed by the Plan, and how they differed from our current expressways. The Plan proposed a system that would add to the surface transportation already in place. We see how different Chicagoland might be if we had not dismantled our streetcar and rail system in favor of near-complete dependence on cars and trucks. In Christmas in Chicago we re-live the traditions of the holiday and how they have evolved over the years to our current experience. In the early 20th century the annual Chicago Christmas parade held on Thanksgiving began. The many department stores on State Street competed to outdo each other with their elaborate displays in their windows. There would be caroling under the Marshall Field clock and the enjoyment of a special Christmas meal under the Walnut Room Christmas tree. Competing with Field's were Sears, Wards, Wieboldt, Rothschild, and the Fair--among the many huge department stores along the Street. We also learn the story of how Rudolph the Red-Nosed Reindeer started as a promotional coloring book given away to get people to visit the State Street Ward's store. These days we have Chriskindlmarket and ice skating at Millennium Park--and Caroling to the Animals at Lincoln Park Zoo. 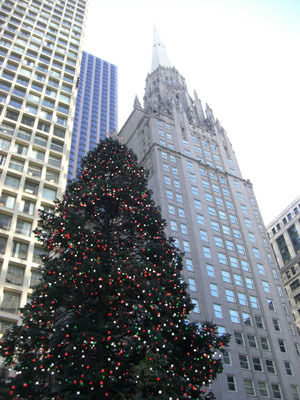 This and more will be included in the program "Christmas in Chicago." 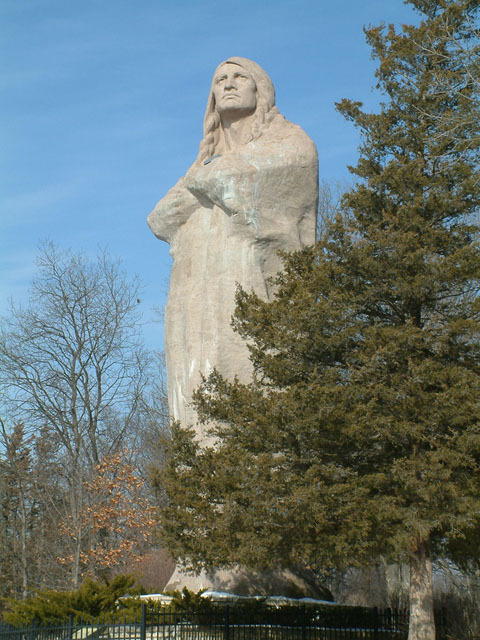 In April 1832, a Sauk chief named Black Hawk led a group of 1,000 Native Americans across the Mississippi into Illinois. Known as �the British Band,� the group was comprised of men, women, and children of the Sauk, Meskawaki, and Kickapoo. Black Hawk claimed his people had not been properly represented at treaty negotiations with the U.S. Government, and thus they retained rights to their ancestral lands. 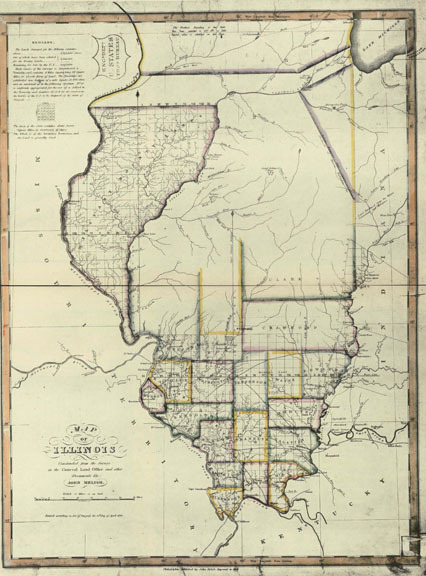 The Governor of Illinois reacted to Black Hawk�s return as if it was an act of war. The battles over the next three months would become the last in the state, a climactic time in the story of Indian removal in Illinois. Within seven years a few final treaties would result in the elimination of all Native American tribes to lands west of the MIssissippi. In this program we will take an overview of the �Indian problem,� from first interaction with the French voyageurs, attempts at assimilation and coexistence, and finally treaties and government promises broken. We look at the Trail of Tears, the final war dance in 1835 Chicago, and the emergence of Native American casinos in the epic clash of cultures. It all happened in a land named for an indigenous nation of people, the Illinois. Today we call this area the Upper Midwest� the land west of Pennsylvania stretching to the Mississippi, bordered north and south by the Great Lakes and the Ohio River. However, for the young new nation known as the United States of America, it was the Northwest Territory. The Land Ordinance of 1785 established a standardized system for surveying the Territory into sellable lots; but over the previous two centuries the land had been explored by various European-origin people, and maps were created to assist these pioneers in their travels. Some of these maps were crudely drawn from dead-reckoning, while others were the work of skilled cartographers. As the new civilizations became familiar with the land, battles ensued with the native peoples over their conflicting needs. Political boundaries were drawn and amended; treaties settled disputes over sovereignty and dominion, then often treaties were superseded or broken. As European-origin people began exploring Illinois territory, they found their way across the tall-grass prairie by using trails blazed by indigenous tribes. These trails were named for their destinations (Ottawa Trail, Green Bay, Milwaukee, and Joliet Roads) or prominent early residents (Hubbard�s and Edwards� Trace, Ogden and Archer Avenues) These important roads remained only footpaths through the prairie. In 1820, construction began on the National Road, a thoroughfare of stone surfaces and bridges that would run from Cumberland, Maryland to the Mississippi River. By the time road crews began working in Illinois, funding was so scarce that it was considered sufficient to simply cut trees down to 15-inch stumps, thus creating a path that Connestoga Wagons and their 18-inch clearance could use. In the early 1920s, a 2-mile stretch near Bates, Illinois served as an experimental road, where 63 different materials and thicknesses were tested as pavement types. Heavy trucks drove repeatedly over the sections to see how the different types held up to abuse in all types of weather. 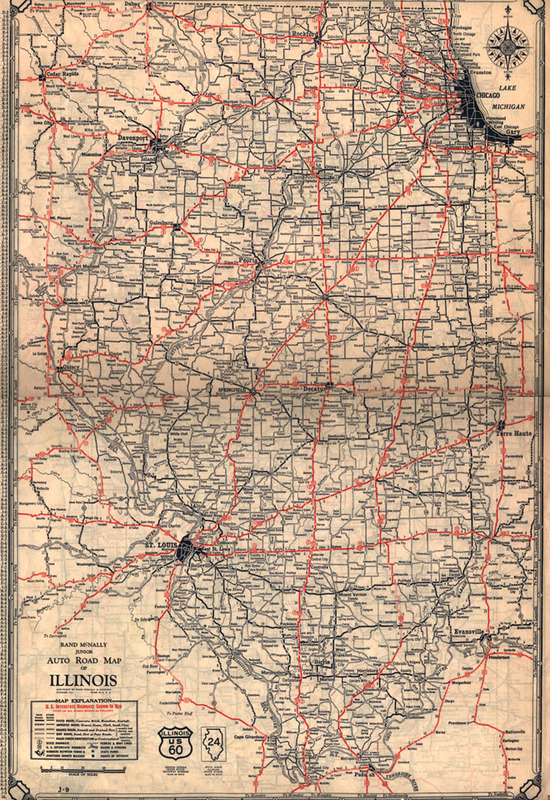 This set standards for the state�s early highways and made Illinois a leader in highway design. 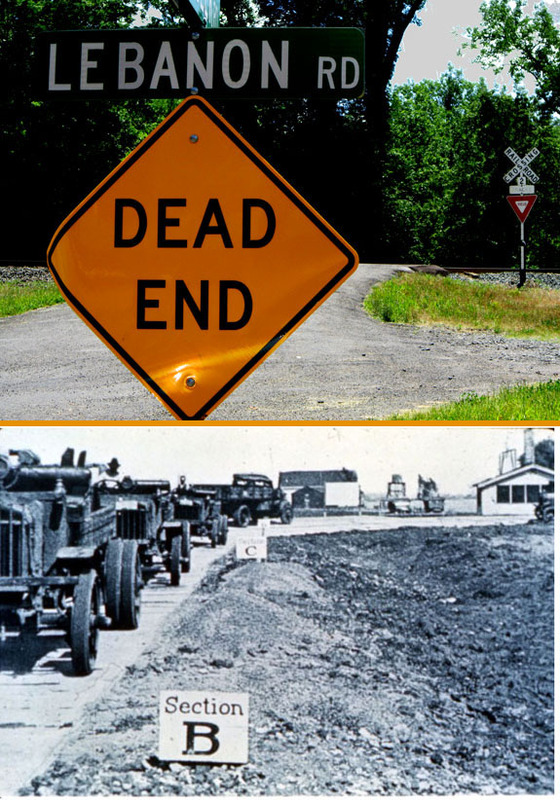 In 200 Years of Illinois Roads we revisit the National Road, the Bates Test Road, and more as we see how Illinois pulled itself out of the mud. While much is written about the enormous impact of Abraham Lincoln on the history of Illinois, the contributions of his wife and oldest son are sometimes overlooked. 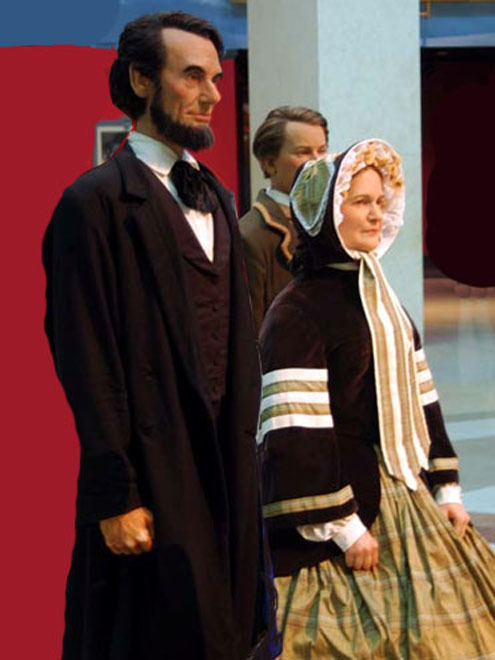 In this program, we explore the Lincoln Family Legacy in the state, from Abe�s arrival as a young man in 1830 to Robert Todd�s departure for Vermont and Washington DC in 1911. Abraham Lincoln came to Illinois at 21 to assist his father and step-mother in their relocation to Coles County near Decatur. He then set about becoming the prototype of the �self-made man,� learning the skills of oratory and debate, teaching himself the skills of surveying, and studying law books to pursue a legal career. During 30 years in politics he lost in a popular vote only once and was instrumental in forming the Republican Party in Illinois. Mary Todd Lincoln was an educated young lady from a well-to-do family, and as the Lincoln family grew she managed their home and engaged in spirited conversations with her husband. Mr. Lincoln relied on her intellect and knowledge as he formed his political policy positions. Robert Todd Lincoln was the oldest of the Lincoln children, and the only one to live a full, long life. After spending attending Harvard and joining the Army in the final year of the Civil War, Robert moved to Chicago with his mother and completed his education. He went into law practice in the city, and then went on to be a legal counsel and later President of the Pullman Company. In Abe, Mary, and Robert Todd, we will see that there is more than one important person sharing a famous surname in this Land of Lincoln(s). Throughout Illinois, legends abound of haunted happenings and eerie occurrences along the thoroughfares of the state. In the first part of Ghost Roads of Illinois we discuss some of the stories of unexplained phenomena residents have encountered while traveling along the highways and bi-ways. In Collinsville, locals speak in hushed tones of the seven railroad crossings of Lebanon Road. An abandoned house near one of the crossings is said to be occupied by the spirits of Satanists who guard the area at night. If a vehicle crosses the railroad tracks on all seven places along Lebanon, and encounters the last at the stroke of midnight, it is said that the gates of Hell open and transport the car and its occupants to the underworld, never to be seen again. While some may suspend disbelief for these stories and others remain skeptical, there is no doubting the reality of the dead end roads and abandoned alignments we discuss in the second part of the program. Some roads in the state were built for only short-term use, and other remain as testament to places that were left behind as time and people moved on. In Bates, Illinois there is no motel by that name, but there is a section of old Highway 54 that served as an experimental road for the state highway department in the early 1920s. In a 2-mile stretch, 63 different materials and thicknesses were tested as pavement types for automobile highways. �Liberty trucks,� surplus vehicles obtained from the federal government following the Great War, drove repeatedly over these test pavements to see how the different types held up to use and abuse in all types of weather over a two-year period. This test set standards that were then used for the state�s early highways and served as a scientific model copied throughout the nation. 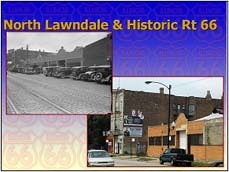 It made Illinois a leader in highway design in the early auto era. In Ghost Roads of Illinois we revisit the Bates Road, Lebanon Road, and more as we tour through the forgotten and haunted thoroughfares of the state. The stories of now-jailed former Governors George Ryan and Rod Blagojevich are familiar, but public corruption in Illinois is nothing new. Chicago is considered the most corrupt city in the United States and Illinois ranks third among states. Since 1976, Federal prosecutors secured over 1,800 convictions of public officials statewide. Others evaded punishment through devious means. Four governors have been found guilty of corruption and one other was acquitted under suspicious circumstances. Automobiles were the playthings of the rich until 1909, when Henry Ford produced the Model T-the first car that the average working family could afford. The number of cars manufactured and owned began to take off, but unfortunately there were few good places to drive them! For over half a century, long-distance travel in the United States had been accomplished by rail, and few roads suitable for the new horseless carriages existed. If the early cars did not break down on their own, it was very likely they would get stuck in mud on the dirt roads outside of cities and towns. A grass-roots effort began, backed by car companies and related industries, to pull the country out of the mud. The Good Roads Movement championed named auto trails on the best available roads and advocated for government involvement in building hard surfaces on the public highways of the country. 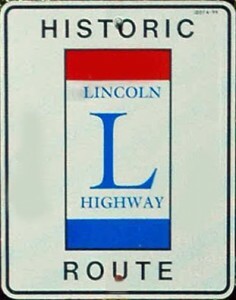 The first named auto trail to be marked from coast-to-coast was the Lincoln Highway. Auto parts entrepreneur Carl Fisher was the guiding force behind marking a trail across the country from New York's Time Square to Lincoln Park in San Francisco. He would go on to found the Indianapolis Motor Speedway, the city of Miami Beach, and he would also begin the Dixie Highway. 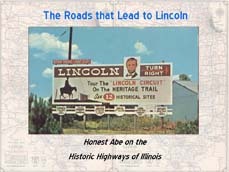 In each state along the way, the Lincoln Highway Association sponsored the creation of a seedling mile, one mile of hard road that would show the traveler the advantages to be had if good roads could become a governmental mandate. The Lincoln Highway's story includes such luminaries as Dwight Eisenhower and Emily Post, who wrote a series of articles during her trip across the country. Today, the traveler in the Midwest is taken back in time. In Indiana from Fort Wayne to Dyer by way of Valparaiso and Merrillville; in Illinois from Chicago Heights to Fulton through Dixon and DeKalb; and in Iowa from Clinton to Council Bluffs, we end the program with a virtual tour full of nostalgia and history. Long before highways and railroads turned Chicago into the transportation hub of the U.S., it was the Illinois & Michigan Canal that literally put the city on the map. In 1673, the French-Canadian explorers Louis Joliet and Jacques Marquette were the first non-Native Americans to travel from the Illinois River to Lake Michigan via the Des Plaines and Chicago Rivers. 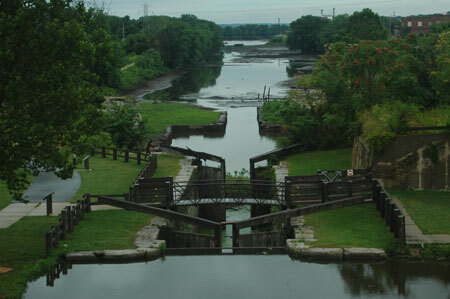 They noted in their journals that a canal could be built to connect these waterways to allow for a navigable channel of travel stretching from the Great Lakes to the vast Mississippi River system. 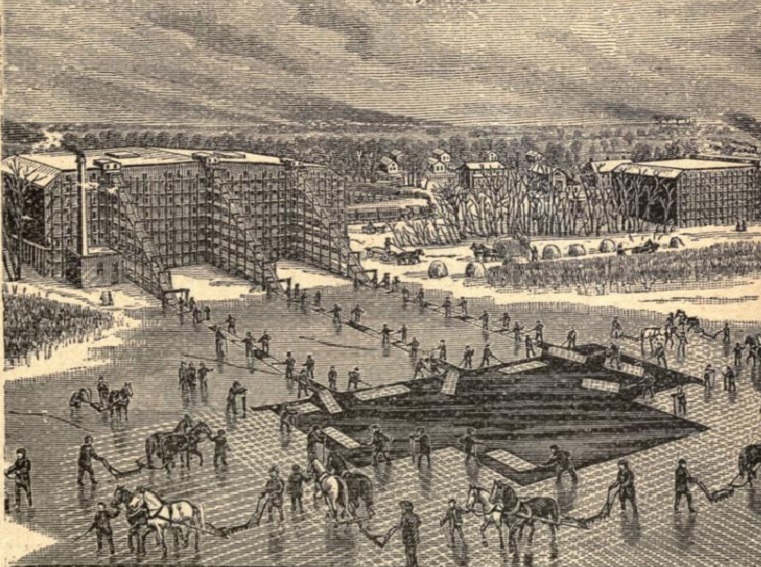 The promise of a canals future potential for spreading commerce from the settled east to the western frontier led to the founding of Fort Dearborn to protect the Chicago River harbor. The potential also led to treaties with Native Americans and the creation by the state of Illinois of a canal commission that would build and operate the waterway. Chicago was founded to be the commercial transfer point between Lake Michigan vessels and canal barges. When the canal opened in 1848, the flow of commerce across the continent changed forever. In this PowerPoint presentation, we will explore the story of the building of the Illinois & Michigan Canal and its eventual replacement by newer canals, railroads, and expressways. We will take a virtual tour of its surviving structures from Bridgeport in Chicago to its terminus in Peru, Illinois 96 miles to the southwest. In this presentation, we begin with a whimsical look at the impact that Lincoln has made on our culture, from businesses such as Lincoln Towing and Lincoln Insurance, to cars such as the Lincoln Continental. Next, we trace the major events of Lincoln's life from his arrival in Illinois in 1830 until he left for Washington as President-elect in 1861. From New Salem to Springfield and on the trail of the Eighth Judicial Circuit through central Illinois, we follow Lincoln as he sets out as a young man to work as a store clerk, postmaster, surveyor, and then as a lawyer. He is elected to the Illinois General Assembly and the U.S. House of Representatives. He runs for U.S. Senate, and then he is elected as the nation's 16th President. When the Civil War is all but over, he is assassinated, and his funeral train makes a somber journey into Illinois at Chicago, then southwest to Springfield. In the final section of the presentation, we take a virtual tour along Route 66, the 8th Judicial Circuit, the Great River Road, and the Lincoln Highway in search of sites related to the life of Abraham Lincoln. The tour includes images of the places visited by Lincoln, as well as monuments and museums dedicated to remembering and interpreting his legacy. The tour includes the well-known sites, such as New Salem State Park; but also included are unmarked historic locations, such as the places where Mary Todd Lincoln lived in Chicago. The emphasis is on the places that travelers can visit to better understand Lincoln while enjoying the historic highways of Illinois. In the present day, diminishing demand has put many coal miners out of work. As well, technological progress has transformed the world of electronic media entertainment to the point where there remains only one Blockbuster Video store in the country. Over the course of U.S. History, many crafts and industries have dissappeared or diminished in importance due to the march of progress. In this program we look at the Ice Trade, an industry that harvested ice each winter from Crystal and Wolf Lakes and then stored it for use year round. 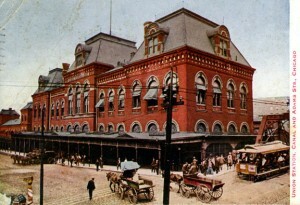 If not for the Ice Trade, it would have been impossible for the Chicago Stockyards to ship its products to eastern markets, and brewers would have not been able to make lager beer in the heat of summer. The discussion will look at other trades of the past, from blacksmiths to telephone operators, and once indespensible tools like slide rules and sextants. While we comiserate with the people who lose their livelihoods to the march of progress, we realize that the new inovations generally lead to new opportunities once unimaginable. In colonial times, the average American drank about seven gallons of alcoholic beverages per year, more than three times the current consumption. Beer and hard cider were important components of the daily food diet, and spirits were respected for their medicinal properties. George Washington�s whiskey distillery at Mount Vernon produced 11,000 gallons of liquor in 1799. John Adams started every day with a draft of hard cider before breakfast, and Thomas Jefferson was considered the epitome of sobriety since he restricted his drinking to only 3 to 4 glasses of wine with dinner. This program looks at how attitudes about drinking evolved over the course of the 19th and early 20th centuries. We see how a confederation of disparate forces, such as the Ku Klux Klan, the Methodist Church, and the women�s suffrage movement, took a nation of imbibers dry. We look how the nation�s Noble Experiment in social engineering, by some considered a compassionate attempt at improving the general health and welfare, led to terrible unintended consequences. A thousand years ago, when almost all cultures ground to a halt for the winter, nearly everyone stayed home in the months between the fall harvest and the spring planting. 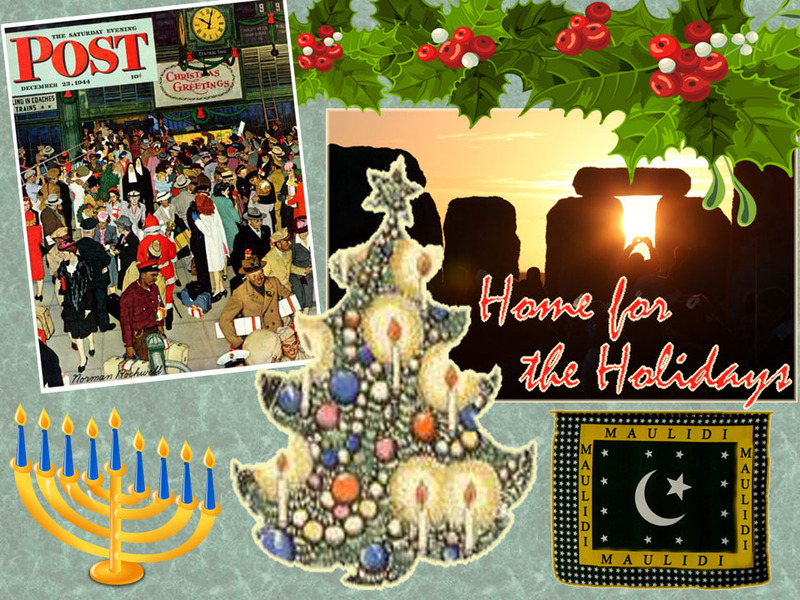 In all cultures and religions celebrations took place, most evolving from pagan rituals. Some of our most cherished holiday traditions have their origin in Norse, Roman, and Greek mythology. In this program we explore the beginnings of many cultural traditions, including the Buddhist Bodhi Day, the Islamic Mawlid el-Nabi, and Hanukkah�the Jewish Festival of Lights. Everything changed with the coming of the industrial age and long-distance transportation. Yet our traditions and the pull of hearth and home remained strong, and so a new practice came into play�the annual dash to go �home for the holidays,� or at least to yearn to do so. Crowded roads, trains stations, and airports ruled the day, and winter weather often ruin plans. We look at these changes, and we also look back a century to a time when World War One paused for a Christmas truce. In 1916, President Woodrow Wilson successfully won election to a second term. His campaign slogan �He Kept Us Out of War, � was in keeping with the majority sentiment of the country. However, less than a month after his second inauguration Wilson requested a declaration of war on Germany. This program begins with an overview of the reasons for the country�s changing attitudes and the consequences of the decision to join in the conflict. The entry into war led to many changes on the homefront. The government took over the railroads to mobilize troops and supplies to the east coast. Civilians endured rationing of such products as wheat that were needed to feed the troops. 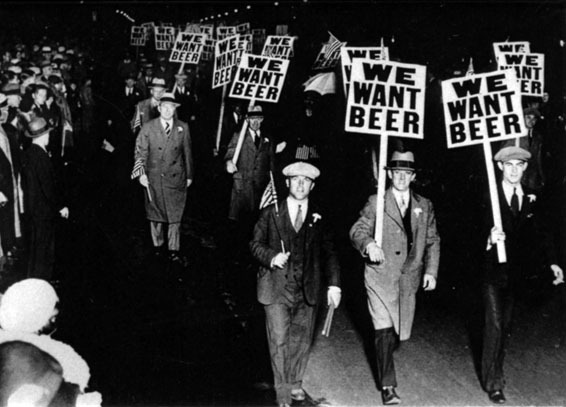 The same rationale led to passage of Wartime Prohibition of the manufacture of intoxicating beverages. The decade of 1911-1920 saw the first production of Chevrolet vehicles. A man named Chrysler is hired by General Motors to take over the Buick Division, and Ford sells 3 times as many cars as any other brand. Consumers are able to enjoy the country�s first self-serve grocery stores and the first standalone automobile gas station. The first offshore oil wells begin production off the coast of Southern California. Labor strife is everywhere with strikes, violence, and debates about worker�s rights. 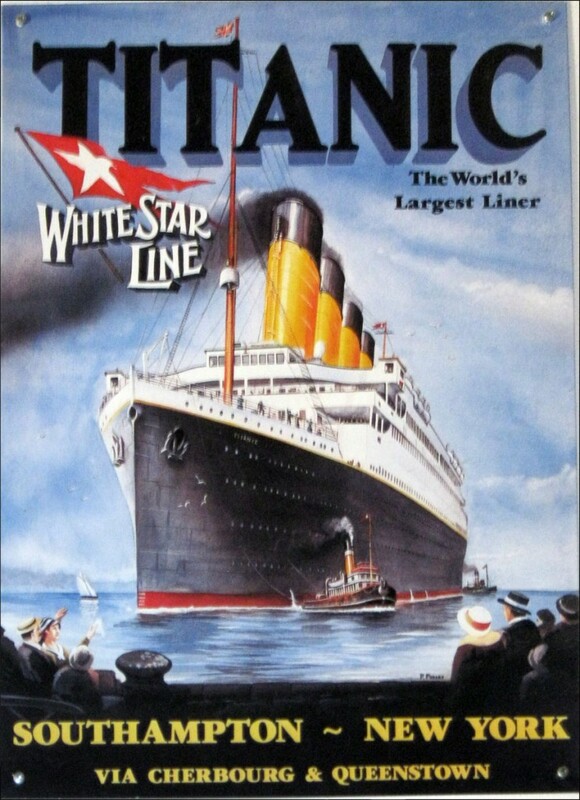 The Titanic, then the world�s largest Ocean Liner, sank on its maiden voyage. The horrific event and its aftermath led to the 1915 Seaman�s Act requiring additional lifeboats on board passenger vessels and possibly caused unforseen consequences in other mishaps including Chicago�s Eastland disaster. Woodrow Wilson won the Presidency against a split Republican Party: William Howard Taft, the incumbent, and former President Teddy Roosevelt. All three would claim to be progressives in a period of anti-conservatism. 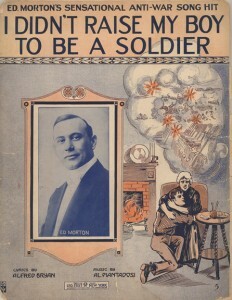 Wilson campaigns for a second term under the slogan �He kept us out of War,� only to lead the country into joining World War I, �The War to end all Wars.� After the war, Wilson wants to have the U.S. join the new League of Nations, only to be thwarted by partisan politics. The mayor of Chicago, whose father of the same name previously served five terms as mayor, finishes the last of his own five terms in City Hall. The Illinois Governor testifies concerning the curious shenanigans that anointed a corrupt Chicago politician as U.S. Senator. Plans are announced for great public works amid allegations that government programs only lead to greater opportunities for graft, fraud, and cronyism. We see that times and technology change, but people and their decisions resonate over time. This program brings us back to that time so long ago that sheds light on our current culture, in both our progress and our continued challenges. When traveling across the United States, one of the most memorable discoveries in any locality is the one-of-a-kind diner or drive-in, serving food at once familiar but with a unique flair. Hot dogs, hamburgers, barbecue, and country-fried steaks all get a different treatment depending on whether you are in Kansas or Memphis, Santa Fe or Atlanta, New Orleans or Cincinnati. However, the local specialties are served in eateries welcoming and familiar. Many feature a kitchen visible to the patrons, where the food is prepared in sight, so it must be right! The similarity of restaurants stem from their common ancestry of a type of eatery developed around the turn of the 19th century. From railroad dining cars, lunch counters, and breakfast served all day, a new type of dining emerged to serve travelers, workers on a short lunch break, and people in need of a meal around the clock. Good Food Fast: The 20th Century Dining Revolution tells the story through words, photos, and music, of how our favorite dining establishments evolved from Fred Harvey railroad dining cars and urban lunch counters. We look at the serious concerns in the early 1900s with food safety that led to establishments marketing their open kitchens, use of popular and trusted brand-name ingredients, and scrupulous attention to cleanliness. 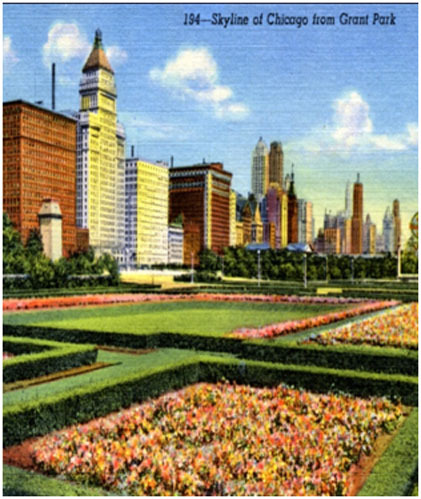 We see how these trends began in urban centers, such as Philadelphia, New York, and Chicago, and how they spread across the country first along the rail lines, and later along the highways. From carhops to cookie-cutter franchises, from familiar foods to unique eats, this program will satisfy a thirst for knowledge although it may leave you hungry for more! Every family has its stories. Beyond basic genealogical facts, the events in the lives of our ancestors can amuse or entertain, showcase traditions or cultural values, or provide insights into the shared society and culture. 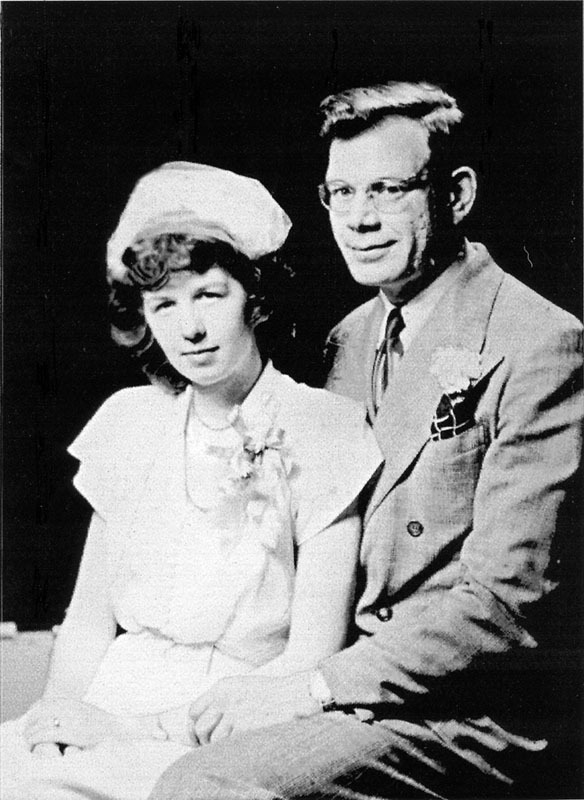 Writing the unique stories of a persons family can preserve the facts and provide a record for future generations. This presentation will help people interested in telling their family stories to overcome their fears of writing and commit the oral traditions to the written word. Through images and music, Bringing Family History to Life: The Stories We Could Tell is designed to help motivate those who have an interest in their genealogy to take the next step and create a written record of their unique family stories. We discuss how a collection of family images, documents, and heirlooms remain incomplete without the contextual information that can only be provided with a written explanation. We see how organizing our historic objects can be accomplished through simple handwritten methods or through the use of computers, scanners, and digital cameras. To overcome the fears of writing, we show how getting started with brief biographical sketches can be easy. We cover simple methods for organizing short pieces that can stand alone or later be combined into a larger project. Copyrights and fair use of research materials is also discussed. We end with the message that anyone CAN write the stories of their families-and if they do not, who will? Our PowerPoint presentations last 45-60 minutes and involve as much audience interaction as practical. We encourage and prefer time to be set aside at the end of the presentation for Q & A and discussion. We provide the PowerPoint files and can use our own laptop computer. We can supply other audio/video equipment (LCD projector, screen audio, microphone) if unavailable at the venue. All of our current presentation offerings include archival postcard views and photographs as well as current views. Musical segments are included with video slideshow accompaniment. We strive to entertain as well as enlighten, and to give the patrons an in-depth experience with information they can use for their own explorations. With sufficient lead-time, we can customize our presentations to the specifications of the customer. 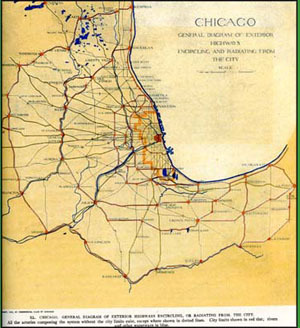 Our resources include information that can be used to create programs for any specific segment of highway and transportation history relating to Chicago, or to Illinois, or to the corridors of transportation and commerce for which the city and state serve as hubs. We stand ready to meet any challenge within the scope of our archival resources. © 2007 by David G. Clark. All rights reserved. No part of this website may be reproduced or transmitted in any form or by any means without the express written permission of the author/webmaster. All photos and graphics by David G. Clark unless otherwise credited. The contents of this website are believed to be correct at the time of posting. Nevertheless, the Author/Webmaster cannot accept responsibility for errors or omissions, or for changes in details provided here.